To cater for all tastes, The Pierhouse Chefs look for new ways to serve our popular oysters – in addition to ‘au natural’ of course! This season Oysters Kilpatrick join the menu: Loch Creran oysters topped with smoked bacon, a creamed Worcestershire sauce, breadcrumbs and gently grilled. New to oysters? 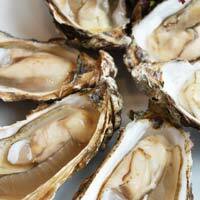 For first timers, our a la carte menu has a ‘1 oyster to try’ option. If you enjoy that, next stop is a plate of six! All you have to decide is how you’d like to eat them – natural, Rockefeller or Kilpatrick. To help you choose, take a look at our a la carte menu here..